Figure 2 of Mackey, Mol Vis 2011; 17:2118-2128. Figure 2. 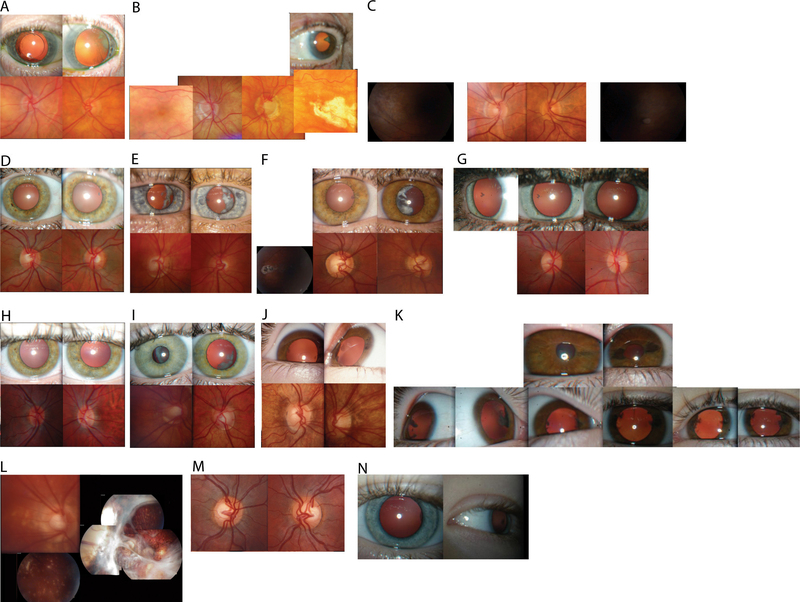 Lens, optic disc, and retina photos of individuals. In the figure, A indicates individual V:2; B indicates individual V:4; C indicates individual VI:7; D indicates individual VII:3; E indicates individual VII:5; F indicates individual VII:7; G indicates individual VIII:3; H indicates individual VIII:5; I indicates individual VIII:6; J indicates individual VIII:7; K indicates individual VIII:7 followup lens photo five years after first photos; L indicates individual VIII:8; M indicates individual VIII:9; and N indicates individual IX:1.